Investments form an integral part of our financial status and portfolio. Investment not only helps us to build our wealth but also help us in our urgent crisis which can arise without any prior notification. But we often are confused that where we should invest our money or where we can use our collateral for loans at the minimum interest. So let us explore some of the best options where you can invest using collateral for the loan.Some of the main collateral loans like loan against property, Government bonds, Fixed deposit etc. The most common collateral used is a property where you can enjoy the benefit of Loan Against Property (LAP). Your property can be both residential or commercial. But one thing should be kept in mind that the Loan Against Property is only given to the person who is the deed holder of the property or is the co-applicant. If you are planning to get a Loan Against Property than your property is kept as security and in case you failed to repay the loan in time then the property is seized by the bank or the financial institution. Since Loan Against Property is a secured loan, therefore, the interest rate is lower, and the tenure is high. Also, the amount of loan is calculated based on the actual value of the property; therefore, it is a good option for investment. 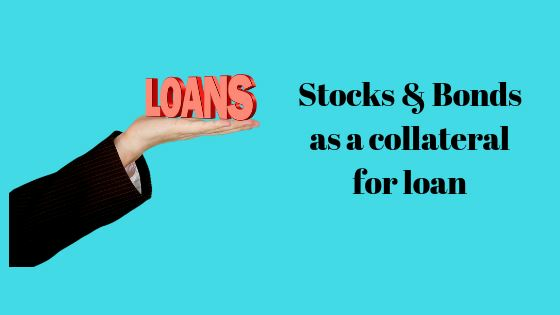 It is always smart to invest through bonds, equity shares, mutual funds, and other similar deposits so that you can use these options as a means of guarantee for getting loans or debts. For this, government bonds are considered as the best investment options, and there are various schemes like NABARD, Sovereign Gold Bonds, etc, which offers you these facilities. You can easily use these bonds as collateral when you want to secure a loan. Non-Term Life Insurance plans can be used as collateral for getting the loan but remember that not all life insurance plans are eligible to get a loan. Unit-linked insurance plan and Term Insurance policies cannot be used as collateral against a loan due to the guidelines issued by IRDA. But money-bank plans, endowment, and other traditional insurance policies can get you the loan at a lower rate of interest. Most of us don’t know that if we have a National Savings Certificate, then we can use it as collateral for getting a loan. The certificate can be used to avail the loan by an NSC holder, and the banks don’t even question why you need the loan in this case. The financial institution offers around 85-95% amount of loan of the NSC value, and the interest rates are generally lower than the traditional personal loan. Another best option to be used as collateral to get a loan is Fixed Deposit. The banks offer you a loan against the term deposit which they keep as collateral, and the interest rate charges on your term deposit are much less than the other kind of traditional loans. It is very easy to get a personal loan against the term deposit or fixed deposit, and the entire process hardly consumes a day. So, in case you are in a bit of crunch, or you need the cash urgently then this option is the best to go for. Additional Reading:-Reasons a Loan Against Property (LAP) may be declined. Loan Against Property Process. There are several steps in the process of getting a loan against property. A loan against property (LAP) gets you capital based on the value of your property. It is available for both salaried and self-employed persons and against commercial as well as residential property.